Urial males have large horns, curling outwards from the top of the head turning in to end somewhere behind the head; females have shorter, compressed horns. The horns of the males may be up to 39 in long. The shoulder height of an adult male urial is between 31 and 35 in. The urial is found in western central Asia from northeastern Iran and western Kazakhstan to Pakistan’s Balochistan and Ladakh regions of North India with the Transcaspian Urial (Ovis orientalis arkal), specifically found in Turkmenistan, Uzbekistan, northern Iran) and western Kazakhstan. To the east it is replaced by the bigger argali and to the southwest by the Asiatic mouflon. Its habitat consists of grassy slopes below the timberline. Urials rarely move to the rocky areas of the mountains. 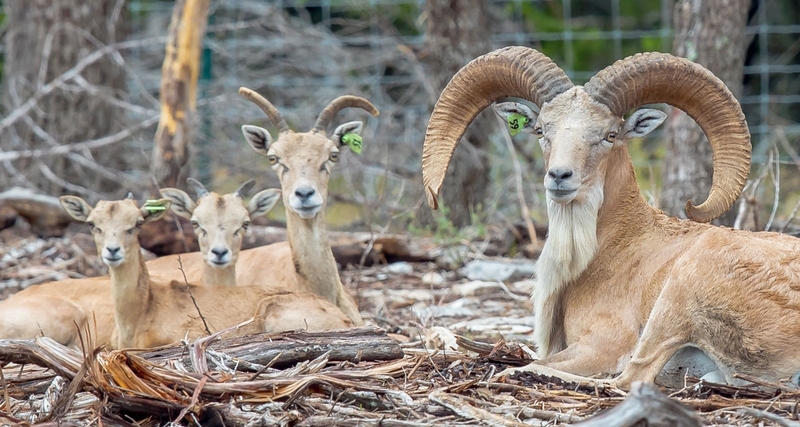 For example, in northern Iran they produce hybrids with Asiatic mouflon under natural conditions. Urials feed mainly on grass but are able to eat leaves of trees and bushes if needed.